Passage to Nirvana is a different kind of story: a memoir, a treasury of Zen teachings and a sailor’s yarn all rolled into one, a book about The Poetry of Living. On May 15, 2002, Charles Carlson’s life was transformed forever when he was hit by a careless, speeding driver. Father, husband, writer, son—all that he was changed in an instant. Several days later he woke up in a hospital with a new identity: Traumatic Brain Injury Survivor. Unfortunately he knew all about Traumatic Brain Injury, or TBI. Just months before, his mother had fallen down a flight of basement stairs, crushing her brain and leaving her an incapacitated invalid, unable to walk, speak, feed herself or perform the hundreds of other activities of daily living we all take for granted. Passage to Nirvana is a memoir of one person’s descent into the hell of losing everything—family, home, health, even the ability to think—and the slow climb back. Told in a unique creative style influenced by the author’s brain injury, combining short poems and essays in an interwoven, exuberant narrative, Passage to Nirvana recounts one person’s struggle and ultimate joy at building a new life. The story begins on a sunny spring day, takes the reader through hospital emergency rooms, Intensive Care Units, doctors’ offices and a profusion of therapy centers: physical therapy, cognitive therapy, psychotherapy, vestibular therapy, occupational therapy and more, eventually winding its way to sunlit oceans, snowy mountains, quiet Zen meditation halls, white beaches, azure skies and a sailboat named Nirvana. 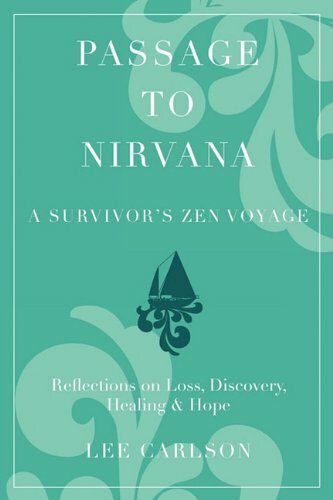 Passage to Nirvana is a different kind of story: a memoir, a treasury of Zen teachings and a sailor’s yarn all rolled into one. The book is about Traumatic Brain Injury, Zen, sailing, love, poetry, kids and dogs. Except the story is not just about Traumatic Brain Injury, Zen, sailing, love, poetry, kids and dogs. Passage to Nirvana is an illustrative tale about finding a path to happiness after a traumatic life event, a book that will teach you about The Poetry of Living™. To buy Passage to Nirvana in hardcover or paperback click on the “Buy on Amazon” button. To purchase the eBook version in either ePub or Kindle versions click here.